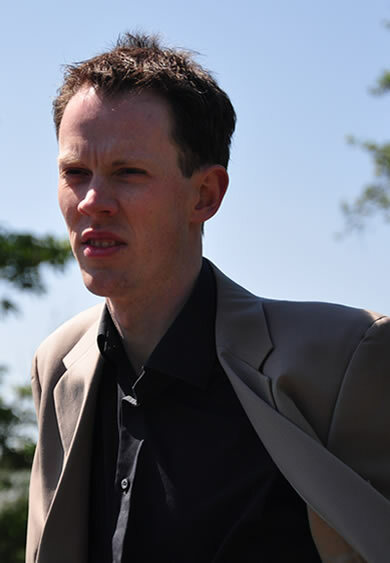 Tim is a freelance lyric tenor soloist, specialising in oratorio and recitals. Recent oratorio engagements have been with a wide variety of choirs and choral societies across England and Wales. This oratorio work has included Handel's Messiah and Semele, Bach's Passions and Oratorios, Mozart's Requiem and Vespers, Mendelssohn's Elijah, and Britten's St Nicholas. In 2015 he was one of the soloists for the UK première of the newly-rediscovered requiem by Luigi Gatti, with Salford Choral Society and Manchester Camerata. He gives regular solo recitals and very much enjoys the chance to sing at weddings and other such events. Tim studied singing for a number of years with Colin Iveson, a former Principal Vocal Tutor at the Royal Northern College of Music, on a private basis, but now works with a number of different coaches. He has attended the renowned annual AIMS singing course run by tenor Neil Jenkins, and the prestigious Abingdon summer school for solo singers. He does regular solo recitals in a number of places in the North of England including Manchester, Shrewsbury, Blackburn, Sheffield and Buxton, and has also given a recital with John Gough (piano) for the Ivor Gurney society in Gloucestershire. Recent oratorio engagements have been with a wide variety of choirs and choral societies across England and Wales. This has included performances of Handel's Messiah and Semele, Bach's Passions and Oratorios, Mozart's Requiem and Vespers, Mendelssohn's Elijah, and Britten's St Nicholas. He has also sung in premières of works by Luigi Gatti and Anthony Burgess, and performces of rarely-performed works such as Andrew Lloyd Webber’s Requiem, the Misa Criolla by Ariel Ramirez, and Janacek’s Otcenas. For over ten years he sang regularly on BBC Radio 4 with the BBC Daily Service Singers. He has also sung with the World Youth Choir, Ex Cathedra, the Armonico Concsort, in Cathedral Choirs in Manchester and Chester, and many other excellent professional ensembles. He regularly records rehearsal CDs for the company Espressivo Chorus, recording tenor and bass choral parts, often in one take!